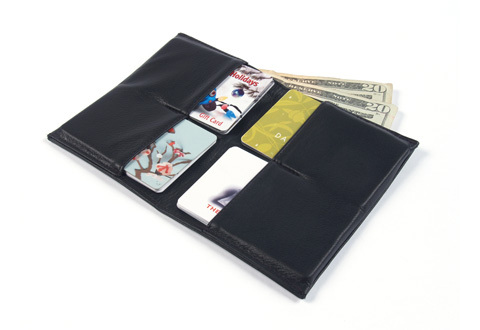 If your current wallet creates a bulging, unsightly profile, switch to the Thinnest Wallet. This all-leather, handmade billfold sports a patented nesting design for an overall slimmer appearance. It features four pockets to hold up to 20 credit cards, plus a cash pocket and a wide pocket that’s perfect for photos and receipts. This soft, supple cowhide wallet closes easily, so there’s no need to break it in. Available in black. 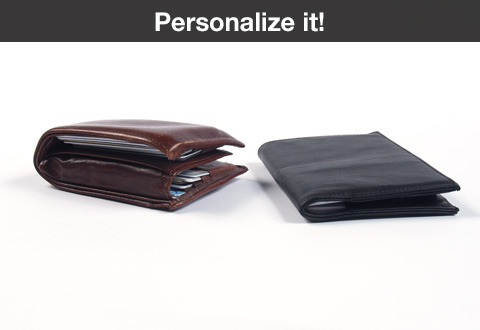 PERSONALIZE THIS ITEM! 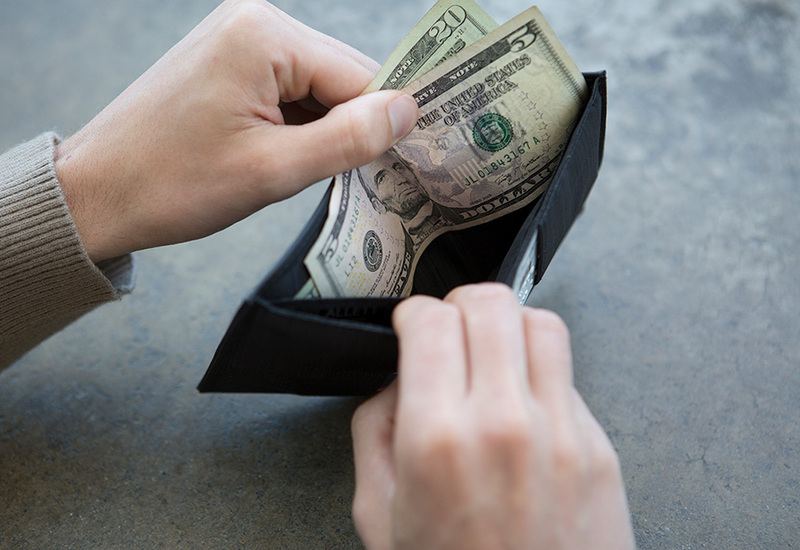 Trade in your big, bulky billfold for the Thinnest Wallet. This handsome accessory keeps your wallet contents distributed in a wider area, so it folds flatter than other wallets. You’ll look better and sit more comfortably with the handsome Thinnest Wallet.